Garden Guru, public radio host and former Organic Gardening Editor-in-Chief Mike McGrath tackles your toughest garden, lawn, and pest problems every week. Episode 28 : A Rose Disease is Making the Rounds! Episode 27 : Got Tomato Problems? Episode 26 : Are oak leaves really that troublesome? Episode 25 : What gardening book should you read next? Episode 24 : Who is to blame for your plants being eaten up over night? Our host Mike McGrath tells us why slugs or snails should be your first suspects when you find your plants have been eaten overnight. Plus, the many ways to rid the slimy creatures from your garden. Plus, a heaping handful of your phone call questions. Got a garden or pest control question we may have covered in the past? Click Here to visit the show's searchable archive of over 500 articles at Garden's Alive! Episode 23 : What you need to know if you plan on starting your own plants from seeds this season! Episode 21 : What can you do if unwanted insects invade? And, how to banish fruit flies and drain flies. Episode 20 : Planning on growing tomatoes? Here is what you need to know! Episode 19 : What rules should you follow to grow your own sweet corn? And, an extra heaping helping of your phone call questions! On this episode of You Bet Your Garden, Mike McGrath tells us the 8 rules to follow if you want to get that extra delicious taste of summer in your sweet corn. Plus, Mike takes your phone call questions. Episode 18 : Suffering from blossom end rot? And, a Philadelphia Flower Show preview! On this episode of You Bet Your Garden, host Mike McGrath tells us why egg shells might be the answer to blossom end rot & the surprising number of plants that those egg shells can help out. Plus, we preview the Philadelphia Flower Show! Episode 17 : When should you prune winterberry? And lots of your fabulous phone calls! On this week's episode of You Bet Your Garden, Mike tells us how and when you should prune your winterberry plants & what these priceless plants need to be useful to birds and for your holiday decor. Otherwise, its a fabulous phone call question show! Episode 16 : How can you add multicolored lupines to your garden? And, a peek at Burnside Plantation's gardens. On this episode of You Bet Your Garden, Mike McGrath tells us how to grow some show stopping, multicolored lupines for your garden. We also take a look at Burnside Plantation's recreation of classic gardens. 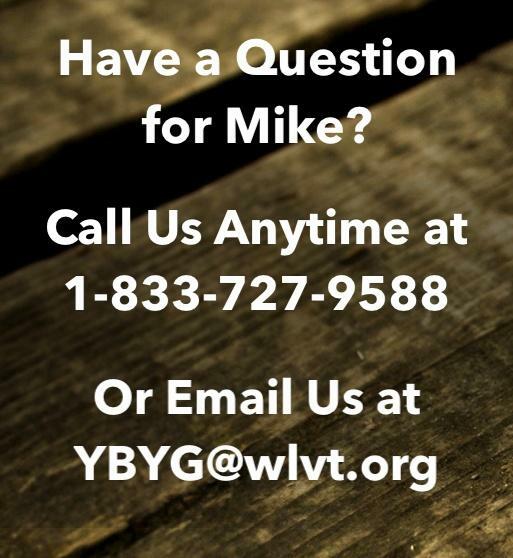 And, as always, Mike takes your phone call questions. Episode 15 : How can you perrennial-ize your poinsettias? And all about the farm that grows farmers. On this episode of You Bet Your Garden, Mike McGrath tells us how to move on from your cut Christams trees & how to perrennial-ize your poinsettias. Plus, we talk about the Seed Farm -- a farm that grows farmers. Plus plenty of your fabulous phone calls. Episode 14 : What are the legal and landscape dangers of planting bamboo? On this episode of You Bet Your Garden, Mike McGrath tells us why that beautiful stand of running bamboo at your neighbor's home will soon be yours, too. Of course, Mike takes lots of your fabulous phone calls. 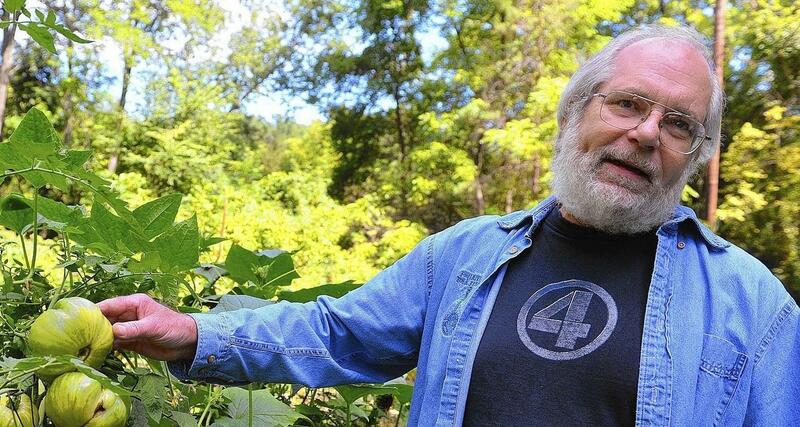 In this week's episode, we travel back in time with Mike to revisit the first episode of horticultural hijinks at the PBS39 Studios in Bethlehem, PA. We also mark the 20th year of continuous episodes of You Bet Your Garden on public broadcasting. Episode topics include poison ivy removal, why chemical fertilizers make flea beetles fat and happy, and of course, Mike takes your phone calls. Episode 12 : Got ivy growing up your trees? And Adrian Higgins talks Bradford Pear trees. On this episode of You Bet Your Garden, Mike McGrath tells us why ivy growing up a tree may or may not be a reason insurance companies could cancel a policy. Plus, Adrian Higgins from the Washington Post talks with us about why Bradford Pear trees might be the worst tree of all time and, as always, an extra heaping helping of your phone calls. Episode 11 : Whats to blame when you awaken to a ripped up lawn? And, a heaping helping of your phone questions! On this episode of You Bet Your Garden, Mike tells us a list of 5 suspects to blame when your turf is suddenly tattered. Plus, we get an extra heaping handful of your viewer questions, including one about an uncommon citrus tree. On this episode of You Bet Your Garden, Mike tells us why a "technique" called pollarding was a great idea in 1 AD, but a terrible idea for the present. Plus, we learn how the fabulous 2019 Philadelphia Flower Show is planning a tribute to Flower Power on the 50th anniversary of Woodstock. As always, Mike takes your questions. Episode 9 : What are the secrets to a fireproof Christmas tree & a needle free floor? It's almost the holidays! On this episode of You Bet Your Garden, Mike McGrath gives you some essential tips and tricks to cutting the perfect Christmas tree for a needle-free floor and making sure it's fireproof. We sit down with Director of Stoneleigh: A Natural Garden, Ethan Kaufman, who discusses how he helped to turn a private estate into a beautiful public garden. As always, we take your phone calls and answer your questions. Episode 8 : Can ants really kill a tree? Plus, a heaping helping of your phone calls! In this episode of You Bet Your Garden, Mike McGrath reveals what is really going on when carpenter ants are found in your tree or terrace & why you should say 'thanks' for the heads up. Mike also takes an extra heaping helping of your phone call questions. Episode 7 : What can you do with that tree stump? And, why volcano mulching will hurt you down the line. Mike McGrath hosts a tree filled episode this week! Mike outlines your options when it comes to taking down trees and how to make those stumps come in handy. Plus, we sit down with Joe Bayer from Bartlett Tree Experts to talk about the lost art of mulching & how volcano mulching could cost you. As always, we take your phone calls. Episode 6 : Should I use my compost pile now or save it for Spring? And, what is the relationship between people and plants? In this episode, Mike discusses whether you should use your compost piles now, or wait until the spring. We're joined by special guest Holly Shimizu, former Executive Director of the U.S. Botanic Garden, to talk about the relationship between people and plants. And, as always, Mike takes your phone calls. Episode 5 : Why were my tomato plants so sad this summer? Plus, tips and tricks on how to make chickens feel like part of the family. On this episode of You Bet Your Garden, Mike tells you why you tomatoes didn't so so well this summer. Plus, we chat with Lisa Steele, author of '101 Chicken Keeping Hacks,' to get some ideas on how to make your feathered friends feel more like family. As always, Mike takes your phone calls. Episode 4 : Looking to pick up pruners? And, why is your fig tree still not producing figs after years of growing? In this episode, Mike McGrath talks about what to do if the spirit of Martha Stewart is haunting you to pick up your pruners and landscape & why your fig tree is still not producing figs. Plus, we sit down with Rachel Falcove, the Executive Director of the Interfaith Hospitality Network, to talk about the 20th year of the Empty Bowl Dinner. And, as always, Mike takes your phone calls. Episode 3 : What type of scarab beetle devoured your roses this summer? Plus, Dan DeVault teaches us about kombucha! In this episode, Mike McGrath sits down with Dan DeVault of Pheasant Hill Farm to talk about the organic ingredients that go into his kombucha. Mike tells us what type of scarab beetle (there are 30,000 different types!) devoured your roses this summer & takes your phone calls. Episode 2 : Why are so many flowers and plants blooming again? And, an extra heaping helping of your questions! Mike McGrath explains why so many flowers and plants are acting like spring chickens despite being close to Halloween. Plus, Mike is taking an extra heaping helping of your phone call questions. Episode 1: What is the best way to remove poison ivy? And why do flea beetles love chemical fertilizers? Mike McGrath marks the 20th year of continuous episodes of You Bet Your Garden on public broadcasting and the first show out of the PBS39 Studios. Episode topics include poison ivy removal, why chemical fertilizers make flea beetles fat and happy, and of course, Mike takes your phone calls.